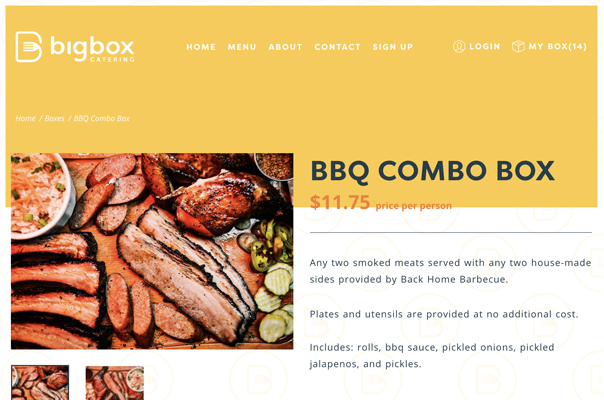 We are proud to announce our latest brand and website launch for an awesome new company Big Box Catering. 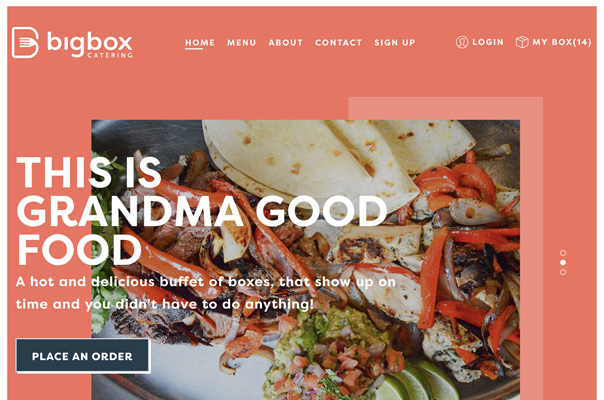 We were engaged by Big Box Catering, which is a new Dallas catering company to create a brand, build a website, roll out their go to market strategy and manage their inbound marketing. We worked with the Big Box team to bring their dream of this exciting new on demand catering company to life. Big Box delivers hot, ready to eat, grandma good food right to your doorstep. Trust us when we say, it is finger lickin’ good! It is perfect for office meetings and luncheons for those who are tired of the same ole sandwich boxes. We designed a fun new brand build the new website, mobile version and box branding for this great company. We are also now working on multiple other concepts for this same group. It has been a delight working with the Big Box Catering group and are excited to see what's to come and the exponential growth we expect from this great company.